Johan Inger is a choreographer who truly inhabits that fascinating place where classical and contemporary dance meet. Trained in classical ballet at the Royal Swedish Ballet School in his home country and at the National Ballet School in Canada, he was a member of the Royal Swedish Ballet from 1985 to 1990. Like so many classical dancers, however, he loved the work of Jiri Kylian, the world renowned leader of Netherlands Dance Theatre, and joined the company in 1990, remaining for 12 years and becoming one of its most notable dancers. From 2003 to 2008 he was artistic director of the Cullberg Ballet in Sweden, stepping into the shoes of Mats Ek (famed for his daring reworkings of the classics, particularly Giselle). Inger’s first attempt at choreography was at NDT’s annual workshop in 1995. That work, Mellantid, was a resounding success, winning him the Philip Morris Finest Selection Award in 1996. 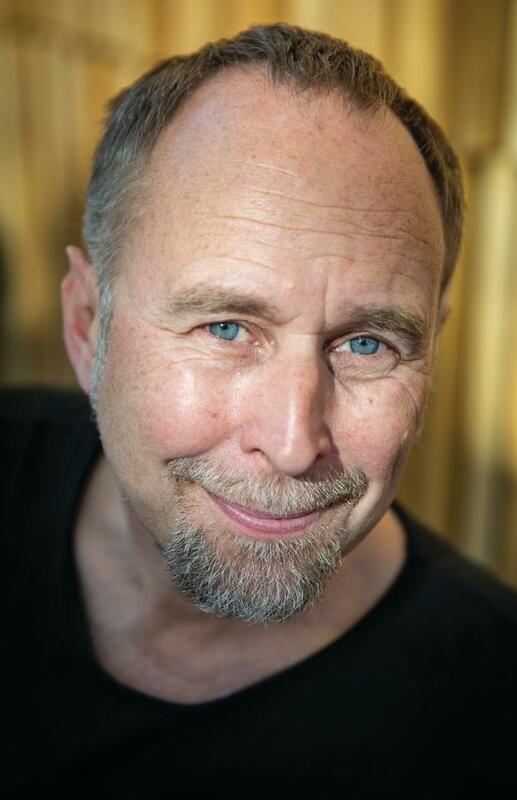 Since then he has not looked back, creating numerous works for Cullberg before resigning from that company to devote himself entirely to choreography. From 2009 to 2015 he was associate choreographer for NDT. His works are in the repertoire of ballet companies all over the world, particularly Europe. Carmen was commissioned by the National Dance Company in Madrid. Like the Dresden Semperoper Ballet, which performed the work in Australia at the 2019 Adelaide Festival, this is a company that stretches wide across contemporary and classical ballet, with a current season that spans The Nutcracker to a work called Cow, by Alexander Ekman (another Swede, whose Cacti has been performed by Sydney Dance Company). Johan Inger. Photo: Bengt Wanselius. How did the commission with CND come about? CND asked for a Spanish title. I had the option of choosing between Don Quixote or Carmen. Carmen was to me the obvious choice for both its challenging story, themes that spoke more to me than Don Quixote, and a better music score, as music is to me a vital partner in making dance. What sources have you used in creating your version? My main source was the book from Prosper Merimee, which is told from the point of view of Don Jose awaiting his execution for the killing of, among others, Carmen. Then I also flirted with some [ideas] from the opera, such as amplifying the Toreador and making his part larger then in the book. I also have the luxury of living in Seville, where a large portion of the story takes place, so I could physically walk through the places Carmen and Don Jose did. The perception of Carmen as a character seems to change depending on the times. What is your take on her character? I see her as an early feminist – financially independent through her work in the tobacco factory. She is a free spirit, a woman who refuses to belong to any man, and who is in charge of her own sexuality and destiny. Why did you choose the Shchedrin score over the traditional orchestration? I simply find the Shchedrin score much more “rock and roll”. He took the Bizet score, added more percussion and rhythm. Why did you choose Marc Alvarez as the supplementary composer? First for the simple reason that the Shchedrin score only is about 45 minutes long and I had to do a full evening. It also became a better instrument to describe the dark forces and feelings within Don Jose himself with a more modern sound. A scene from the CND production of 'Carmen'. Photo: Jess Vallinas. You have included an extra character of a young boy. Why? I asked myself, why another Carmen, what could I bring to this famous piece that would be new and unique, and make it matter? When I first read the book I was surprised by all the violence, and of course, man contra woman violence. That made me remember a childhood friend of mine who one evening was exposed to a domestic violence attack. This attack lasted some minutes but changed my friend forever so I therefore decided to add a young boy as a witness to Don Jose's decline. My thinking is – if I myself have experienced domestic violence will I repeat the pattern/circle of violence or find the courage to break it? Do you often create narrative ballets? I have mainly done abstract short works. Carmen was my first full narrative evening ballet. I grew up in the opera house in Sweden and participated as a young student in many of the classics, so when I was going to start to choreograph Carmen I somehow felt immediately at home telling a story. After this discovery I have done a Peer Gynt and a Petrushka and will keep on doing narratives as a complement to my shorter abstract works. You have mentioned in a previous interview that Swedish choreographers can be “melodramatic”. Would you like to expand a little more on the Swedish temperament? It is interesting, particularly with regard to a Swede approaching a work so typically associated with Spain and Spanish customs, such as the bullfight. Sweden is as far away from Spain as you can get in Europe. Sweden has a long dark winter, a small population in a big country with big distances in between people. I believe this solitude has created over the years a certain heaviness or “melodrama” in our culture. Spain is the total opposite. Of course I was nervous to take on this challenge. A Swede choreographing not only a Spanish work but a Spanish icon like Carmen might not fair well, but had to tell myself that Carmen is a universal play and icon. Who are your main influences, if any? I have had the luck as a dancer to work with some truly great choreographers and learned a lot from them. My main influences as a choreographer has been Jiri Kylian, Mats Ek and Ohad Naharin. As a choreographer who works across modern and classical ensembles, how would you describe your dance vocabulary? I would like to describe it as earthy, honest and human. A dancer needs to have a classical foundation or knowledge, and a good modern technique to dance my work best. What usually comes first: the music or the movement? Well, between those two I would say music and then the movement, but not all pieces start with the music, sometimes I start with a space and fill it later with context. Other times an idea or a story is the starting point and then music will be added later, meaning every “birth” comes about in different ways. 'Carmen' played at the Festival Theatre, Adelaide, from March 8 to 10, 2019. This article was first published in the February/March edition of Dance Australia. Want more like this? 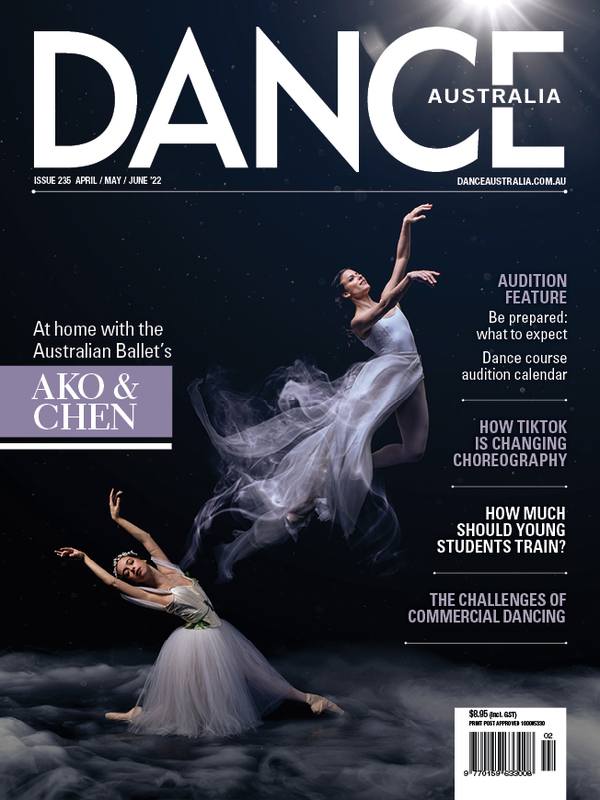 Buy Dance Australia at your favourite retail outlet, or buy it online here... OR never miss an issue by subscribing here. Pictured top is a scene from the CND production of 'Carmen'. Photo: Jess Vallinas.